For the seven days of Photo Kathmandu, here are seven things you can do in the city of Kathmandu, a complement to our seven things to do in the city of Patan. 1. Have breakfast at a restaurant overlooking Boudhanath, one of the largest Buddhist stupas in Nepal. Sit back with a hot cup of tea or coffee and enjoy the view of the square as the faithful perform the kora – the ritual circumambulation of the stupa, often accompanied by the counting of prayer beads and the turning of prayer wheels. Peaceful mornings at Boudha are the perfect antidote to the chaos of Kathmandu. 2. While at Boudha, you can visit the nearby Taragaon Museum, located on the premises of the Hyatt Regency hotel. The museum hosts a collection of drawings and photographs that display the architectural development of Kathmandu as a city. Located in a restored building that was once part of the Taragaon Village Hotel, which closed down in the 90s, the museum is an interesting exhibit in and of itself. 3. Take a trip into the heart of old Kathmandu to Indra Chowk and the Pote Bazaar, an ancient marketplace that is always teeming with people. Pote are traditional glass-bead necklaces popular among Nepali women. They come in a variety of dazzling colours and are sold mostly by Muslim shopkeepers, who immigrated to Kathmandu long ago, mostly from Kashmir. You can observe how pote are made or simply walk around the marketplace and marvel at the brilliant hues all around. Pote also make for excellent gifts. 4. Take a rickshaw from Thamel to Basantapur or vice-versa. This thrill ride will have your heart in your throat as your rickshaw driver pedals furiously, speeding through narrow alleyways lined with people and animals. You will dodge and swerve and lean to the left and right, all the while marvelling at the ease with which the sinewy man on the bicycle seat manoeuvres his vehicle. It’s a short, cheap ride but one you will no doubt remember when back home. 5. Visit the Garden of Dreams, a renovated neo-classical historical garden located at the entrance to Thamel. The garden, which once belonged to Field Marshall Kaiser Shumsher Rana, has been rebuilt lovingly into a serene oasis in the heart of the city. It is a beautifully constructed space, with lush green lawns to relax on and read a book, take a nap, or have a dry picnic with friends. 6. The evening arati at the Pashupatinath Temple is a sight that visitors to Kathmandu will not want to miss. 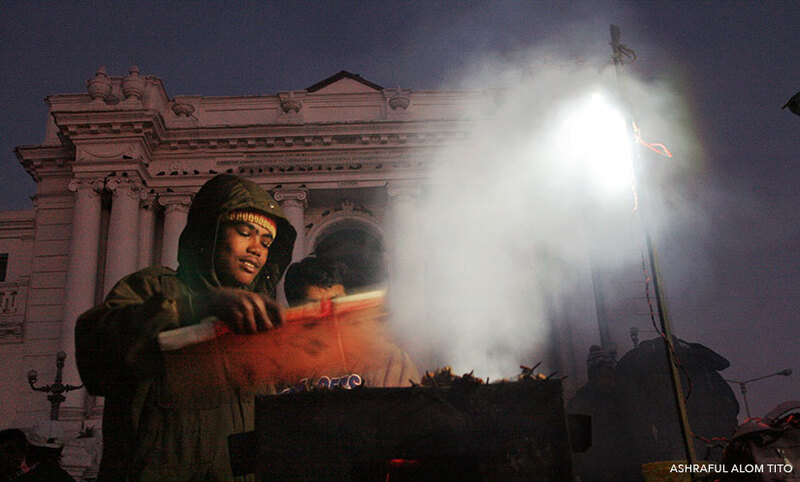 The ritual takes place every evening at six on the banks of the Bagmati river inside the Pashupatinath temple complex. Visitors can watch the sights from across the river, where there is a convenient seating area that offers a full view of the lights and lamps being lit, the chanting of mantras and the ringing of bells. Nearby are the funeral ghats where Hindus are cremated. The sight is a deeply spiritual experience. 7. Take a tour around the ancient Kathmandu Durbar Square and witness first-hand the architectural majesty of old Kathmandu. Many ancient sites were destroyed by the April earthquake but there are many that are still standing. There are a number of routes through the square and you can choose to wander by yourself or follow a trail marked by various jatras and processions that pass through. A popular walk is the route taken by the chariot of the Kumari, the living goddess. The Kumari Trail Walk is organized by Social Tours and can be booked on their website.